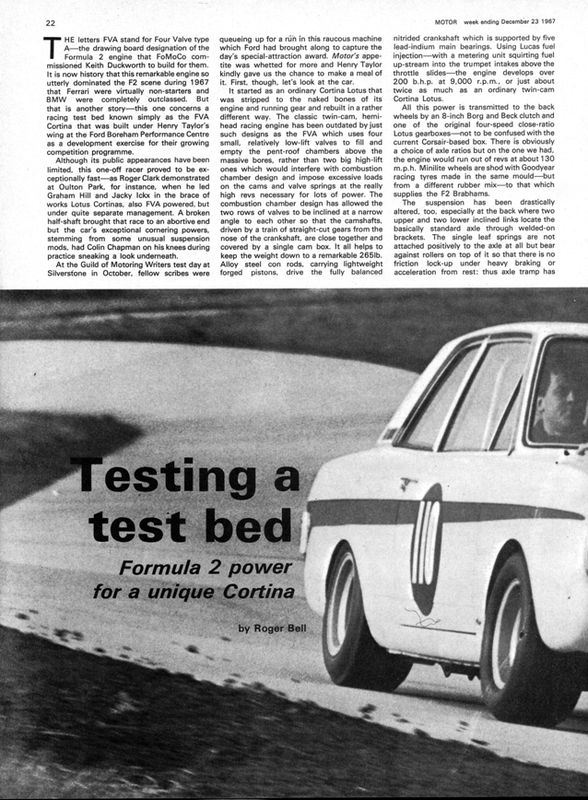 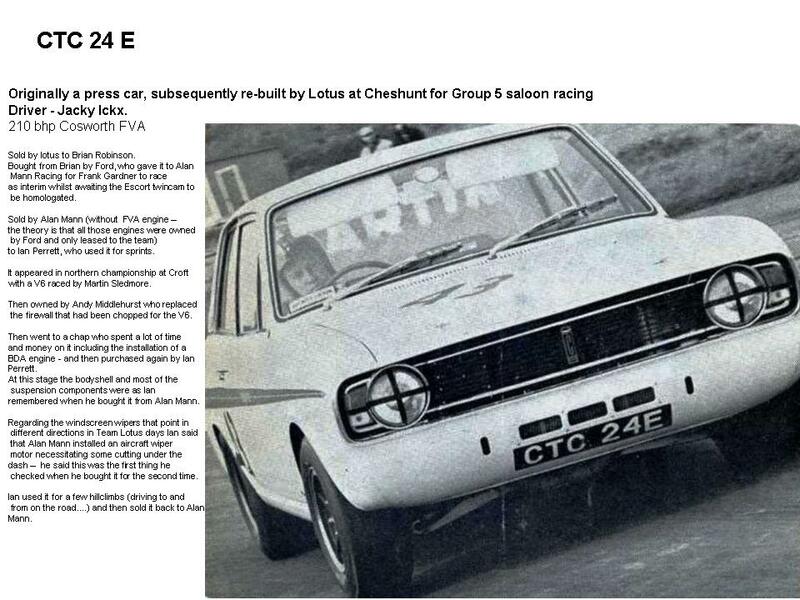 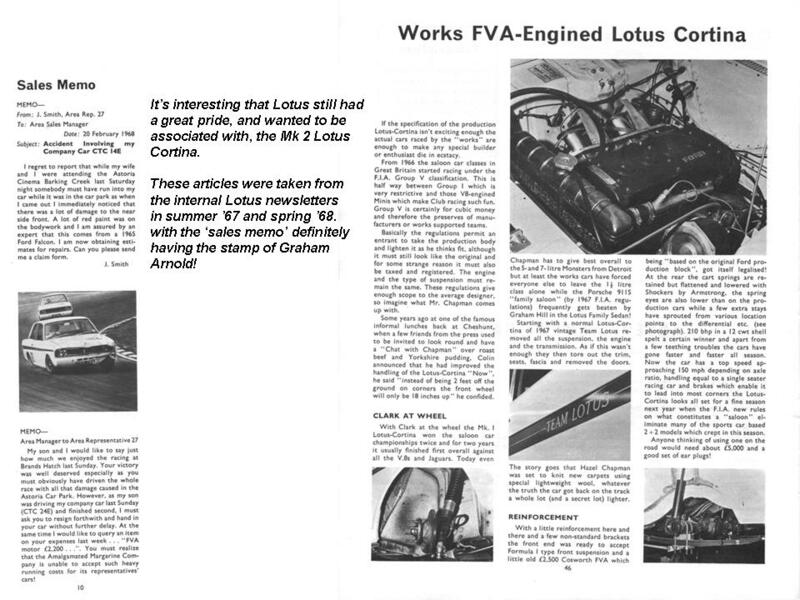 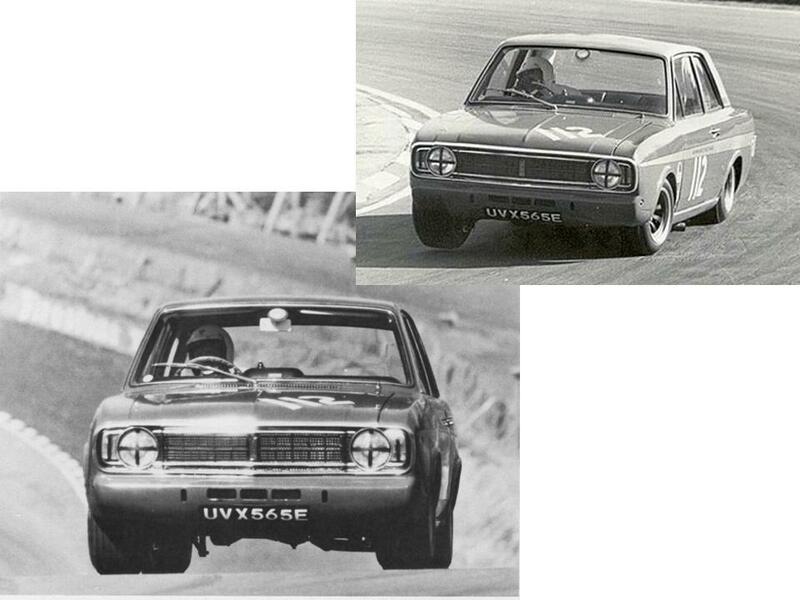 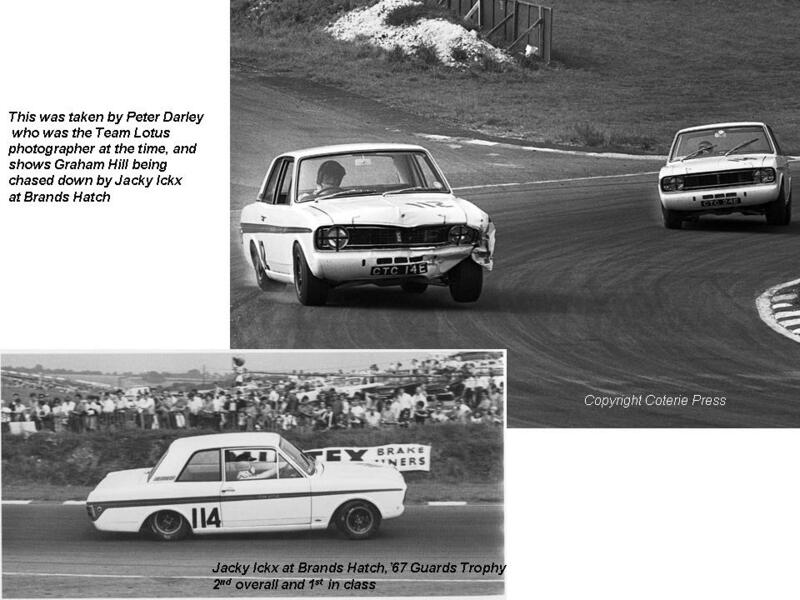 There were three works race cars built, with two built by Lotus and raced under the Team Lotus group (CTC 14 E and CTC 24 E), and the other built by Boreham (UVX 565 E). 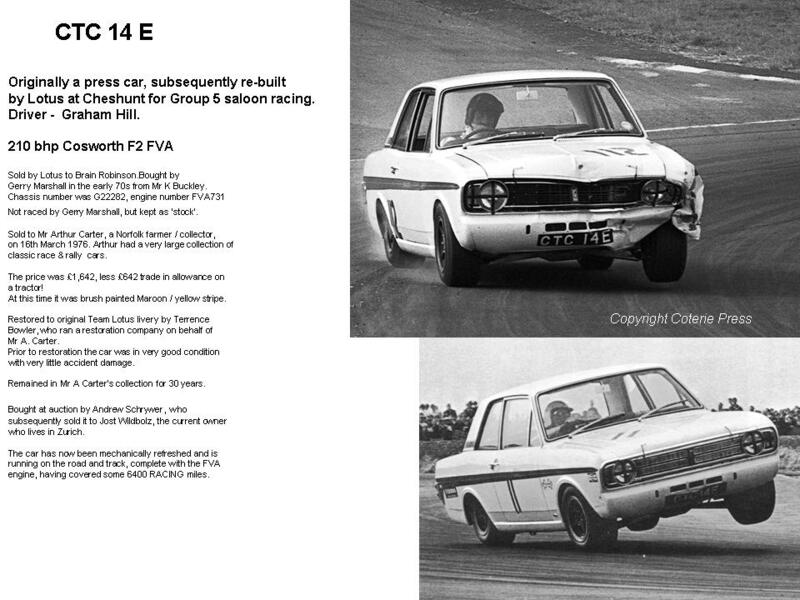 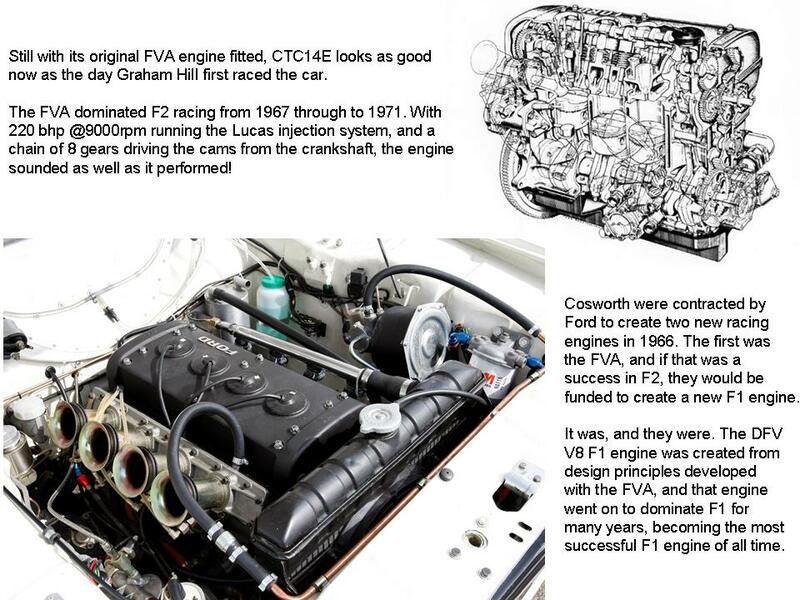 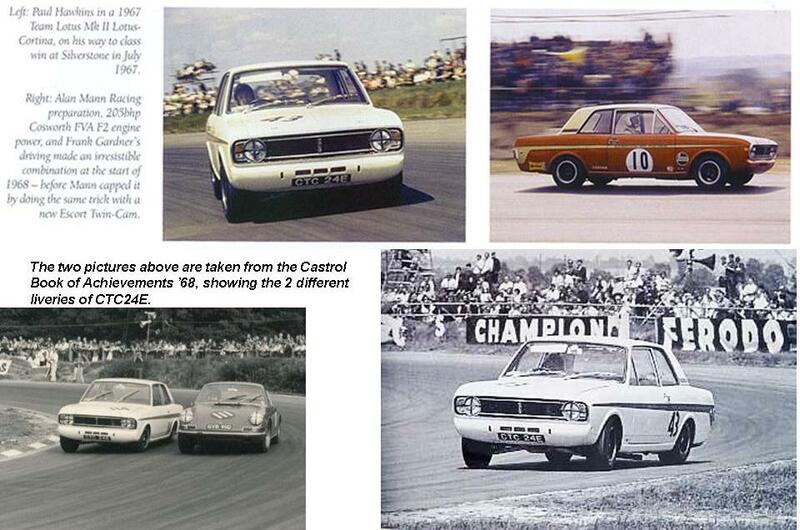 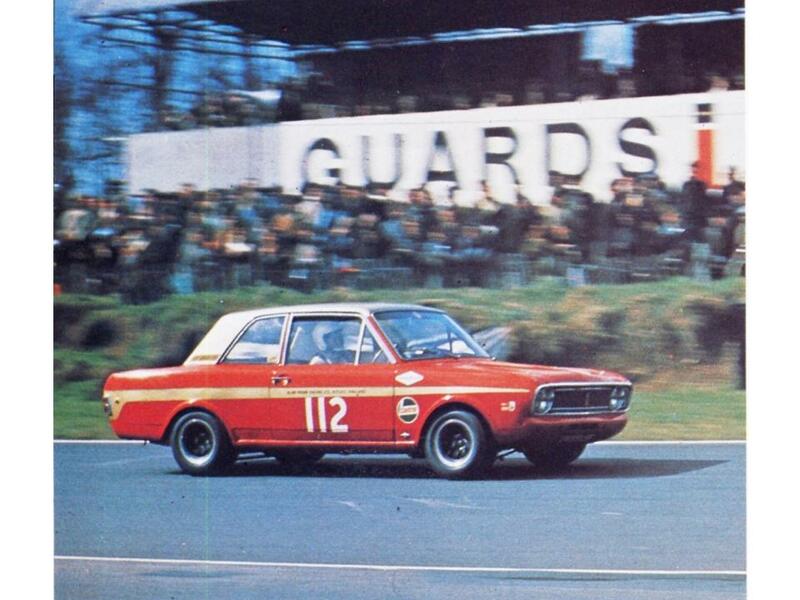 All three used the Cosworth F2 FVA engine. 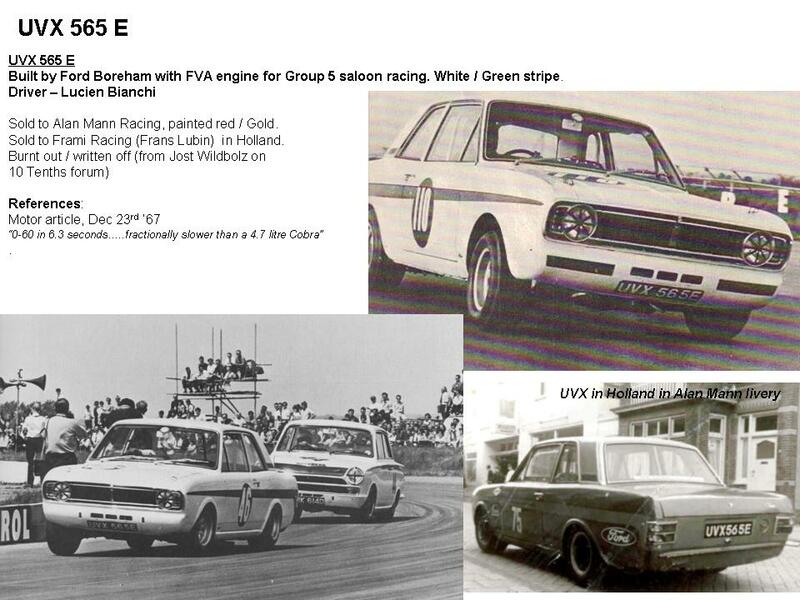 All three started off as white with the green stripe, but CTC 24 E and UVX 565 E were sold to Alan Mann, and their livery changed to his familar red and gold colours. 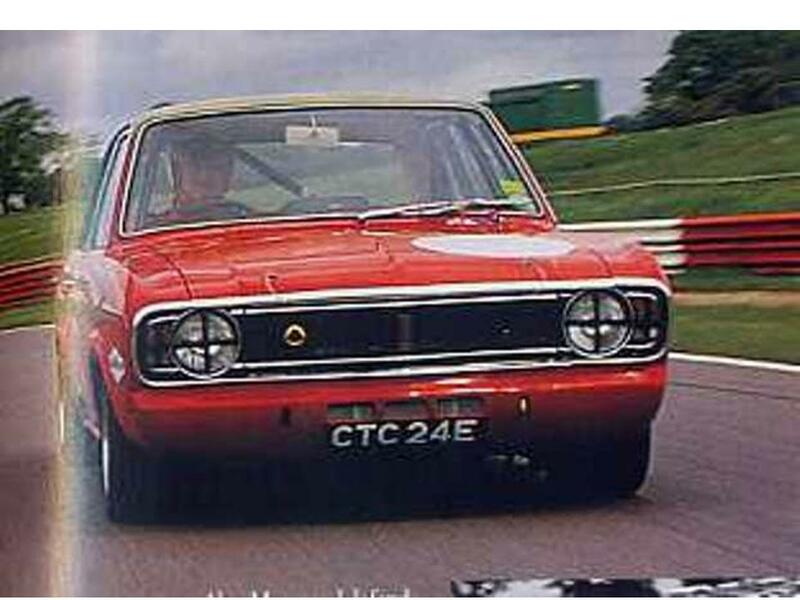 CTC 14 E looks absolutely stunning today. 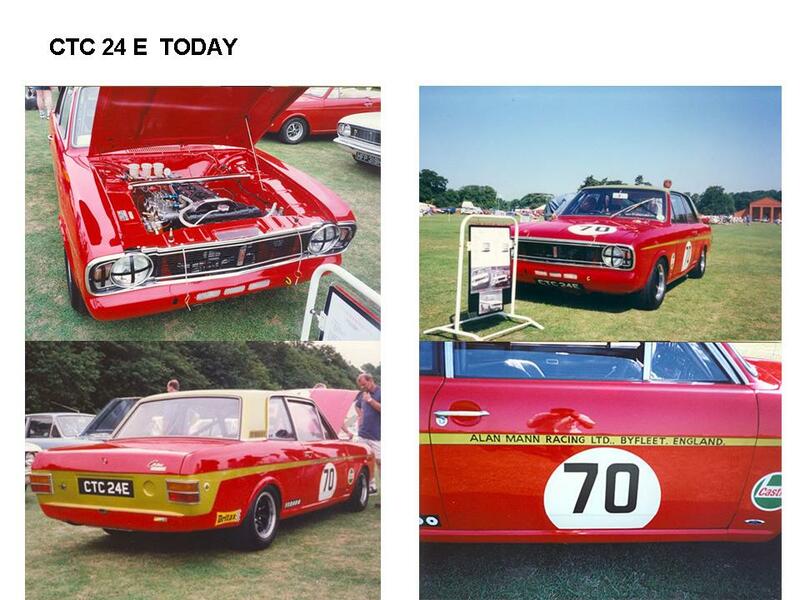 Thanks to Jost, the current owner who lives in Switzerland, here are some pictures of the car. 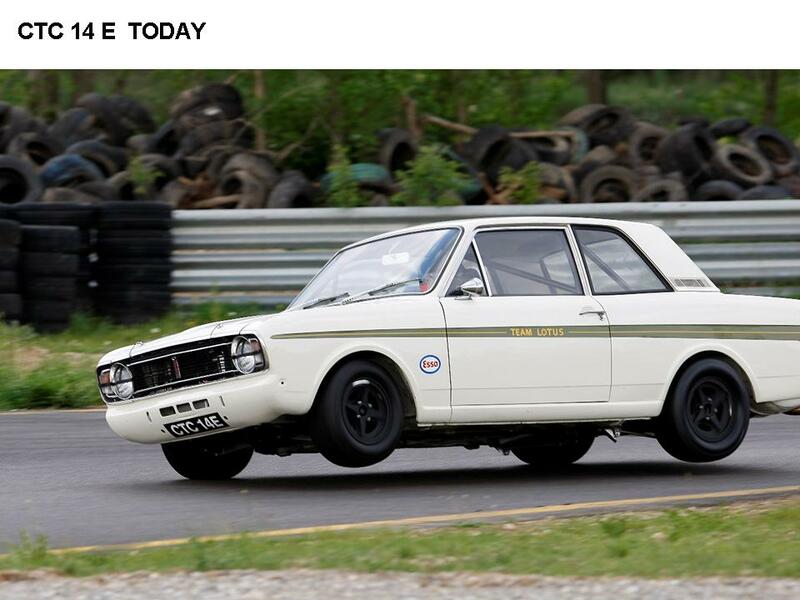 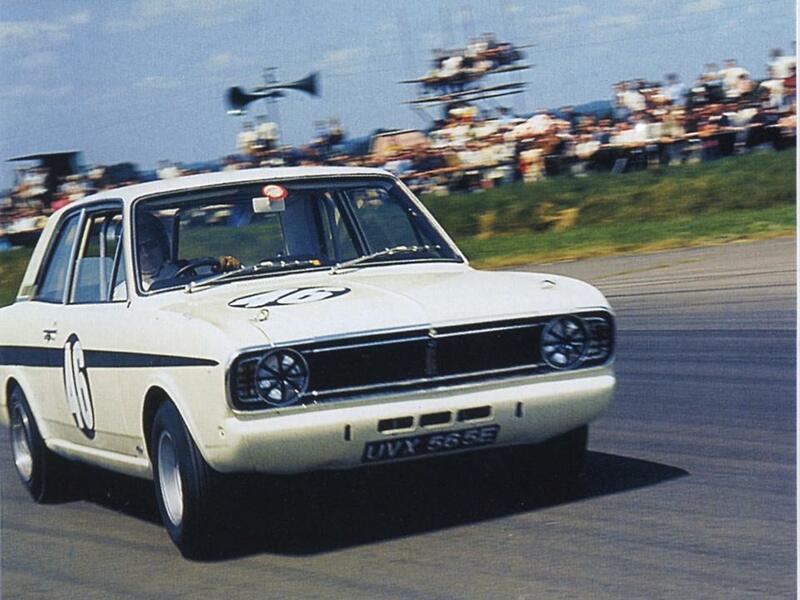 Jost is obviously not the sort of owner who just polishes his old cars, for here he his getting the old Lotus Cortina to perform her favorite party piece…. 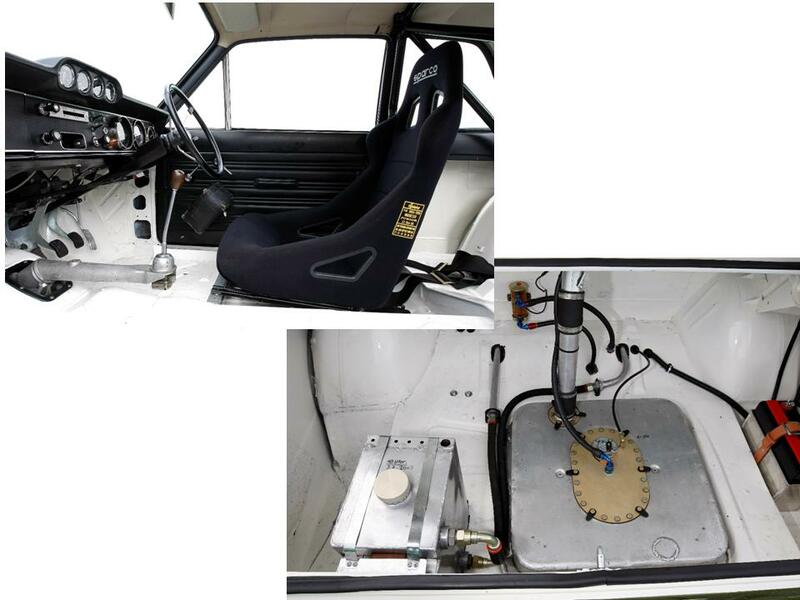 A new race seat has been added for safety, but Jost still has the original one as used by Graham Hill. 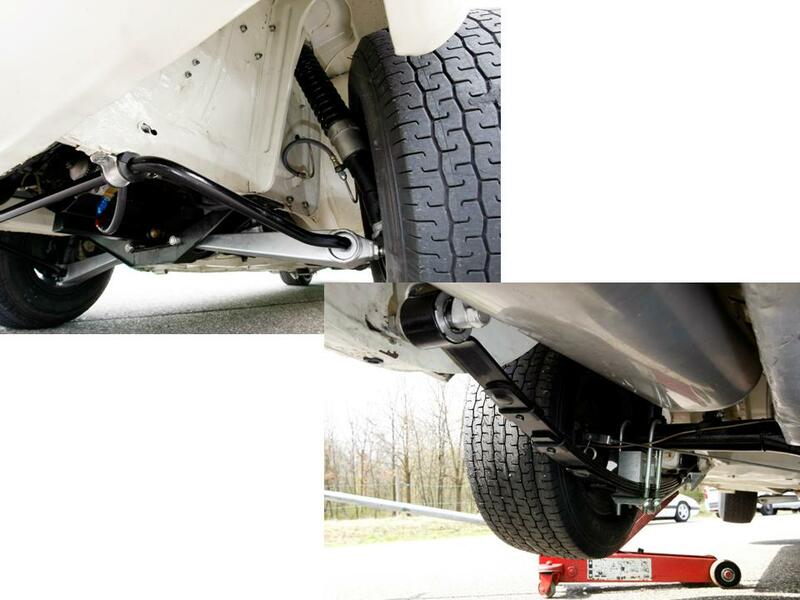 And finally, an interesting view of the suspension. 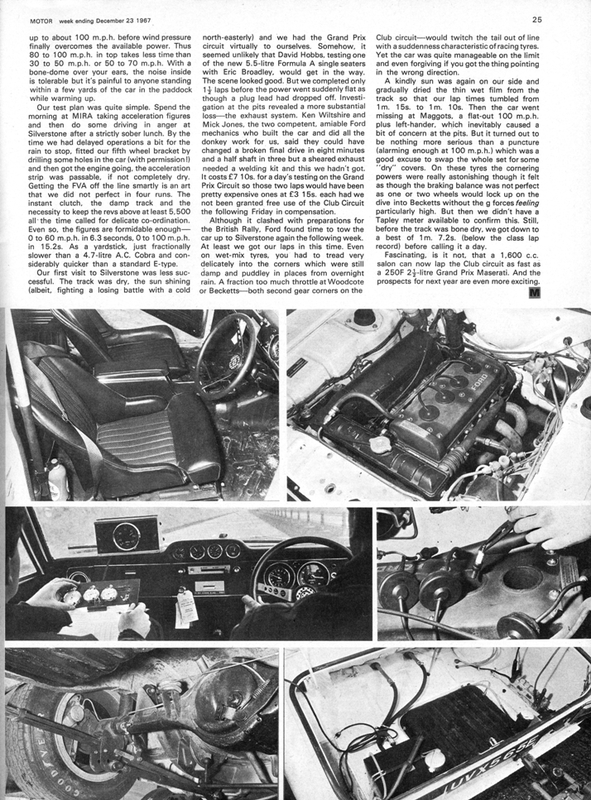 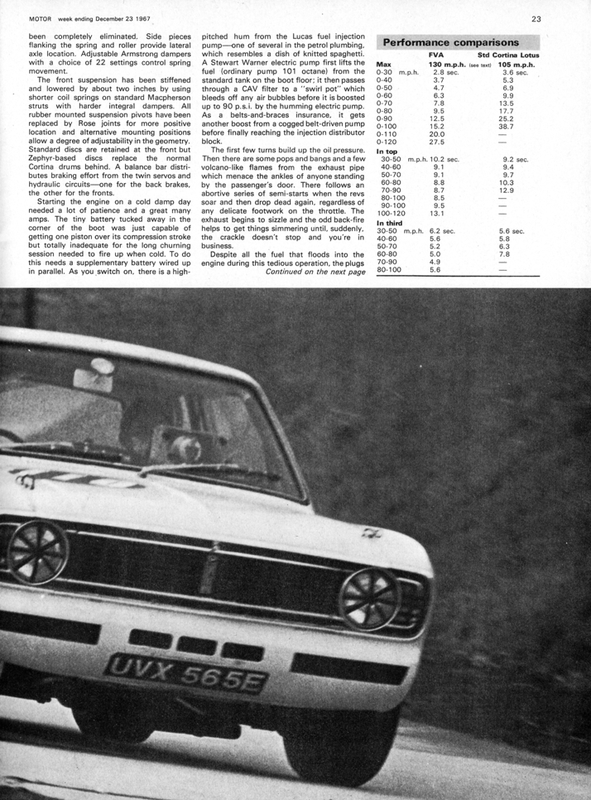 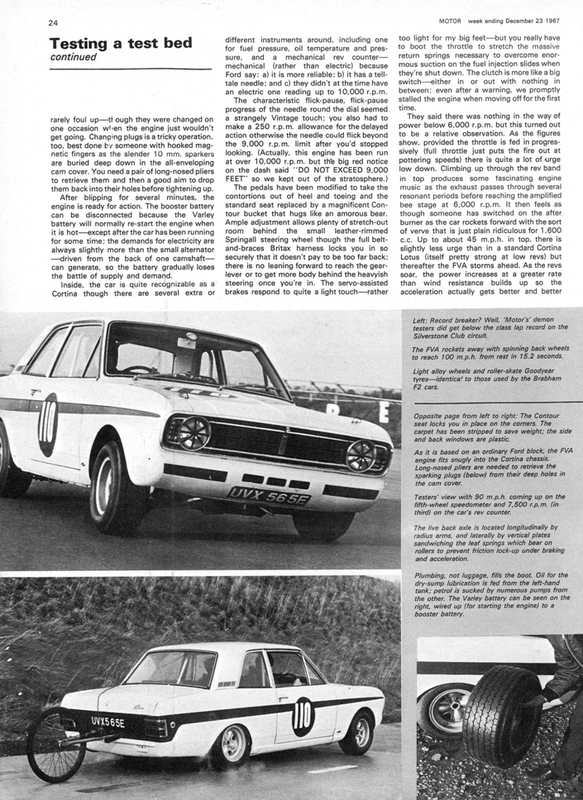 A great article was written in Motor magazine at the end of 67, which gives a lot of interesting detail for UVX 565 E.